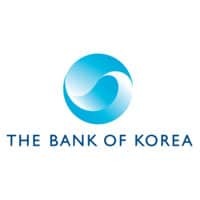 The Bank of Korea (BOK) is to pilot a service that allows merchants to give customers change in the form of a top-up onto a prepaid card instead of coins. The project forms part of the central bank’s Coinless Society Project (PDF) which aims to “ease the inconvenience of using and carrying coins”. A series of pilot projects was announced in November 2016 to build a “well-constructed” digital payment infrastructure in the country, following a survey carried out by the bank that reveals nearly half (47%) of consumers do not use coins even when they receive them as change, with the biggest reason cited as the inconvenience of carrying them (62%). More than half of the 2,500 surveyed (51%) support the idea of a coinless society, compared to just 24% of those who oppose. “The plan, with the aims of enhancing the convenience to the general public and reducing social costs, will be carried forward in a way to decrease the circulation of coins by effectively utilising a well-constructed digital payment infrastructure,” BOK says. “However, it does not aim at eliminating coins completely. “In lieu of returning physical change to a consumer, a merchant will add the equivalent amount to his/her prepaid card value through a prepaid card top-up terminal in the convenience store, followed by subsequent settlement between the store franchise operator and prepaid card issuer,” BOK adds.